Within sight of the Dhauladar range, Dharamsala (meaning ‘rest house’) is perched on the high slopes in the upper reaches of the Kangra Valley in the Western Indian Himalayas. Dharamsala was set up by the British as a garrison town in the mid-1850s. Divided into two distinct and widely separated sections, Dharamsala, and McLeod Ganj, which differ by around 750m in height, Dharamsala is famous as the home of the Tibetan government in exile and the Dalai Lama after he fled Tibet in October 1959. But it was only in the eighties, when Buddhism and the ‘Free Tibet’ cause became popular that tourism potential was fully exploited. It didn’t take long before celebrities like Richard Gere and Uma Thurman were followed by droves of tourists. Stickers and posters proclaiming “Free Tibet” and “Boycott Chinese goods” make it difficult to forget the Tibetan cause. McLeod Ganj isn’t called ‘Little Lhasa’ for nothing. A short walk up the hill from McLeod Ganj, located on the crest of a hill lies Dharamkot with a panoramic view of the Kangra valley and Dauladhar ranges. It is the starting point for the short walks to the high plateau at Triund (2,975m) – a 9km hike, or further over the high passes to the Chamba valley. 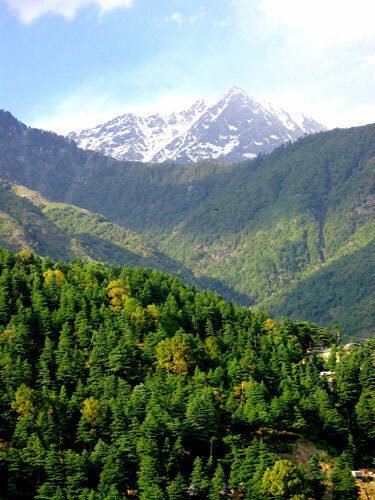 Dharamkot and the surrounding areas is a haven for those seeking to get away from it all, with a Vipassana centre, and other meditation and holistic retreats around. Back in McLeod Banj, Tsuglagkhang Temple is Dharamsala’s main Buddhist temple. Inside the complex is the Namgyal Monastery, and the Dalai Lama’s residence. Most afternoons it is possible to watch the monks debating. 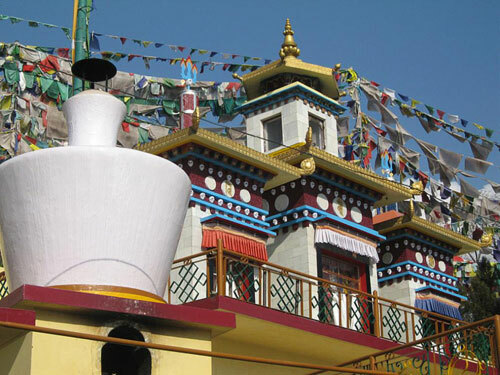 14km from McLeod Ganj, Norbulinka was established to preserve and teach the ancient Tibetan arts. Here one can watch the wood carvings, thanka paintings and embroidery being done. Tibetan handicrafts are on sale to the public. Close by is the Gyuto Tantric University where the Karmapa Lama resides when in Dharamsala. It is possible to attend his public audiences when he is in town. McLeod Ganj is a haven for travellers and backpackers who flock here for the pleasant summer temperatures and the Tibetan community, plus the opportunity to partake in any number of courses, either provided by the Tibetans Indian or foreigners who set up shop teaching everything from meditation, yoga and reiki, to cooking, Tibetan language and Buddhist Philosophy. 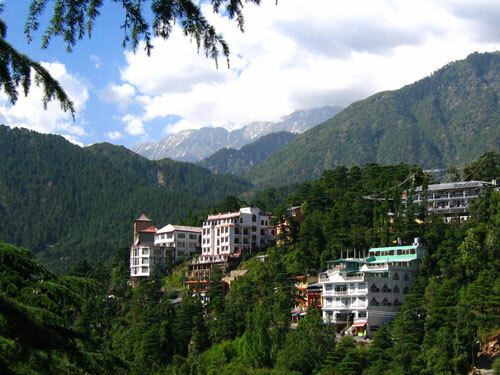 McLeod Ganj is a charming town full of great cafes and restaurants, shops selling everything from music and DVDs to Buddhist prayer flags and Tibetan handicrafts to clothes and Indian handicrafts. However if you’re not into shopping, and want to get out and about in the hills, there are some fabulous short, half day and full day walks to be had up into the hills surrounding the town. To visit Dharamsala, contact us now to arrange an Add-on to one of our Group Tours.